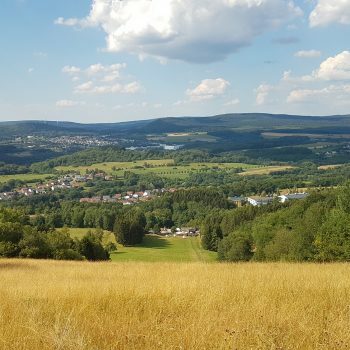 The local water board “Oldenburgisch-Ostfriesische Wasserverband” (OOWV) offers a range of different opportunities for its customers and the general public to learn more about its work. This includes the 350-metre-long drinking water teaching trail located close to the water board’s premises in Nethen, which was due to be redesigned in 2017. The trail is open to all those interested – whether they visit independently or with a guide. The primary goal of the educational trail is to inform people about water and all its different facets. The 23 information boards were partially redesigned by Erlebniskontor and received a modern, fresh makeover. In addition, a garden hut was designed and built as a fun area where visitors can gain tips for sustainable gardening.